With lingering notes of Bergamot, this exceptional blend is the perfect refresher any time of the day. 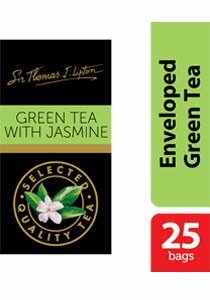 The Sir Thomas Lipton Specialty Tea Collection offers the finest ingredients are sealed in sachets which maintain quality, freshness and ensure consistency of aroma. 1. Place one tea bag for each person in a cup or pot.